When does a mobile phone with a camera become a camera which can also make phone calls? 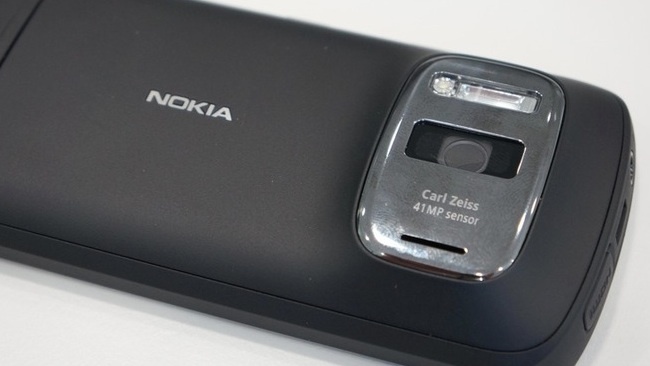 Nokia have just anounced their 808 Pureview phone which has a reported 41 Megapixel camera. This will no doubt start a megapixel tech race, but how many megapixels do we really need? Photographers taking photos for advertising billboards only use 25MP cameras and the current 8mp is surely enough for pictures of the wifes backside so where will the tech stop?. We now have phones which run Video, Sat Nav, gaming and hold all your music collection as well as letting you order your shopping and tweet that you just had the best poo ever. If you are really lucky you may have enough battery life left to make a phone call.